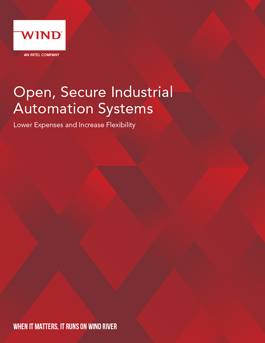 Many of today's industrial automation solutions are overly expensive and inflexible, partly due to proprietary solutions that do not interoperate well with other products in the market. Telecommunications service providers also faced a predominance of proprietary equipment until over a dozen of the world's largest providers proposed a transition to interoperable solutions based on industry-standard servers. Telecom equipment vendors now offer software-based network functions that can run on commercial off-the-shelf servers, enabling economies of scale, wide vendor choice, and interoperability. This white paper describes how a comparable transformation is emerging within industrial companies.